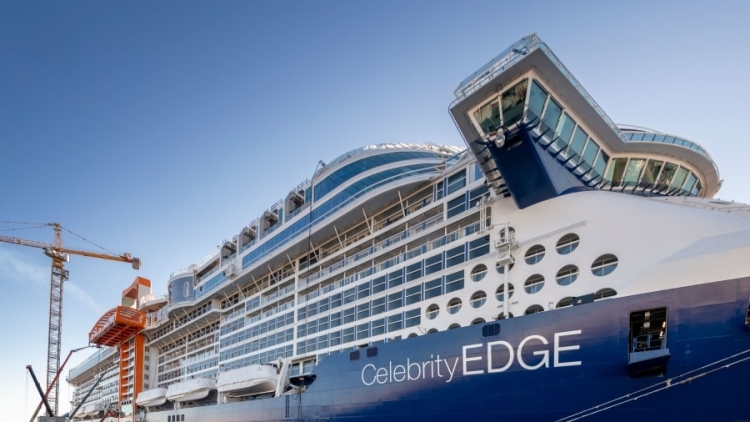 TIRUN, the exclusive India representative of Celebrity Cruises, recently announced the launch of Celebrity Edge, the first-of-its-kind ship in Celebrity’s Edge-class fleet. Celebrity Edge promises to change cruise experiences for travellers across the world. The futuristic 129000 tonne ship can accommodate 2,918 guests at a time and offers cutting-edge design envisioned by world-renowned interior designers such as Kelly Hoppen, MBE, Tom Wright of WKK and award-winning interior designer Nate Berkus. The entire ship has been designed in ultra-modern 3D technology. The design team consists of talented individuals who are new to the world of cruise designing and have specifically chosen to break the conventions and give the ship a truly edgy look, reflected in its unique outward-facing design. The ship features innovations like the Magic Carpet, the world’s first cantilevered, floating platform that keeps changing its position to offer breathtaking views to guests. It goes up to 13 storeys, and keeps intuitively changing its location on the ship throughout the day. 80 per cent of the staterooms are equipped with Infiniti Veranda, a feature that enables guests to transform their entire living space into a balcony opening out into the vast ocean, all with the touch of a button. With Celebrity Edge, Celebrity has more than doubled the number of available suites, adding two spectacular new categories. At the top of the line are two new Iconic Suites situated above the ship’s bridge. These near 2,600 sq ft, two-bedroom, two-bathroom suites feature mind-blowing views thanks to panoramic windows enveloping the dining room, living room and bedrooms. The 700 sq ft veranda offers a 270-degree view of the ocean. Another new Suite Class comprises six split-level Edge Villas, which offer stunning views from two storeys of windows, private plunge pools and direct walk-out access to The Retreat Sundeck. In a first, the ship features Eden, an on-board garden and a recreational area that includes some of the most exotic and beautiful plants across three levels ensconced in glass, looking out to the beautiful ocean outside. Spread over11,800 sq ft where Eden offers the ideal location to hold a variety of events-from business luncheons to wedding celebrations-in the intimate company of nature. The state-of-the-art spa, sprawling over 14,000 sq ft, with an accompanying gym and café covers 22,000 sq ft and offers a wide variety of treatments and facilities that will help guests foster a deeper connection with the ocean. The spa will offer 124 treatments including a Zero Gravity Wellness Massage, Restorative Salt Stone Massage, and Thousand Flower Detox Wrap. Celebrity Edge is scheduled to set sail in December 2018 offering 7 Night Eastern & Western Caribbean Itineraries from Fort Lauderdale. The ship will visit exotic ports in the paradise islands such as San Juan; Puerto Rico; Tortola, British Virgin Islands, Key West; Florida; Costa Maya & Cozumel, Mexico and many more. After its maiden season in the Caribbean, Celebrity Cruises' latest ship Celebrity Edge will head overseas to offer seven-night Barcelona and Rome sailings in the peak season and early summer of 2019.